Those closest to me know I live in a multi-generational household. That means, my mother lives with us. And one day, I am positive, my grandmother will live with us too. There are so many benefits to having a mutli-generational household. My daughter will have an incredible bond with her grandmother. She will also have 2 strong women for role models. And it’s nice to have reinforcements when my daughter is being especially trying. But there are also drawbacks too. Not only do I have my daughter to care for I often find myself caring for my mother and grandmother. When it comes to planning out my week I usually end up checking in with my mother and grandmother to see what help they are going to do need. Does my grandmother need a ride to the doctors? What is everyone’s schedules looking like for family dinner? Do I need to add a few of their errands to my list? My grandmother lives about 20 minutes away so I need to take her needs into consideration when I’m planning my week as well as travel time. During the winter months, the weather can be unpredictable. She depends on me to bring her groceries. So one thing I like to do, is take 1 weekend a month and cook a bunch of meals, portion them out and take them over to my grandmother. Then I place them in her freezer. I usually make 4-6 different types of soups and chili, roast a chicken, a few different types of roasted vegetables and prepare potatoes a few different ways. This way I know she has healthy, home cooked meals for the month. 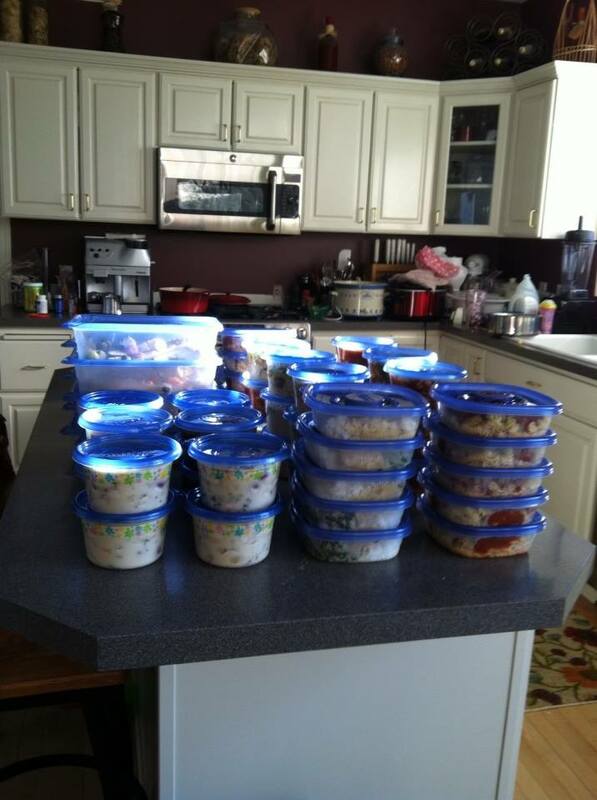 All she has to do is take 2 containers out every night before bed, place them in the fridge and reheat the next day. I know she is getting a variety of vegetables, plenty of lean protein and low sodium meals. When I’m running to the store I always make 2 phone calls – first one is to my mom and the second is to my grandmother. I always check to see if they need anything. Then if they do I pick it up and run it over to them. This has always been a part of my life and routine. I’m not the only person that takes care of elderly family members. Many people do this every day. Now there’s a way to recognize these amazing people with the Create the Good 25 Days 25 Ways Contest. To enter you will need to do create a little video about the nominee. Don’t worry about it being perfect. Just be you and be honest about how you feel about everything your nominee does for others. I can assure you if the nominee sees this, they will touched by your kindness and sweet words. Over the course of 25 Days, there will be a giveaway winner for a gift card each day. The gift card will be awarded to the nominee. If you share it on Facebook and Twitter that just helps even more because the more votes, the better! There is even a grand prize donation that will go to the winning nominee’s charity of choice! So what are you waiting for? Get started making those videos!